1.7 Is holly a dangerous medicinal plant? Scientific noun: Ilex aquifolium L.
Habitat: Beech and oak woods and hedges of humid climates. Dioecious tree of the Holly family – Aquifoliaceae, usually 10 m tall (It can attain 25 m). Erect stems with smooth bark, light grey, and bright green branches. Flowers in different trees, the female ones with four petals, white-greenish. Fruits till 12 mm in diameter. They are red berries when mature. Laxative and purgative: To clean the bowels, in case of constipation, carry out a maceration of dry bark in cold water during 12 hours. Drink 2 cups a day between the two main foods. The fruits have also been traditionally used as purgative, but, given their toxicity, they should be avoided completely. Tranquilizer: The infusions of this plant exercise a tranquilizing function and they have been used in cases of hysteria and epilepsy. Infusion during 10 minutes of 2 spoonfuls of bark dry in a couple of glasses of water. Drink two cups a day. A sticky substance is made from the bark that has been used to trap birds. It has also been used a lot to make engravings or to make objects in turnery. 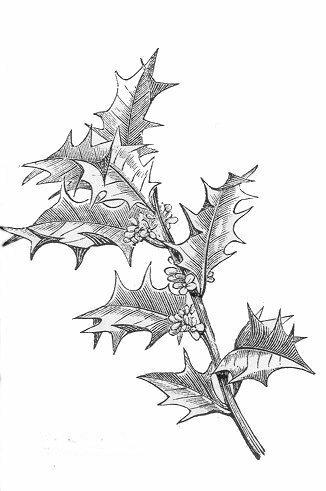 Holly woods, due to the shade that reigns in their interior, have been habitual refuge of livestock in summer. This has caused their transformation, since, to let cattle go inside, shepherds have cut the biggest trees. 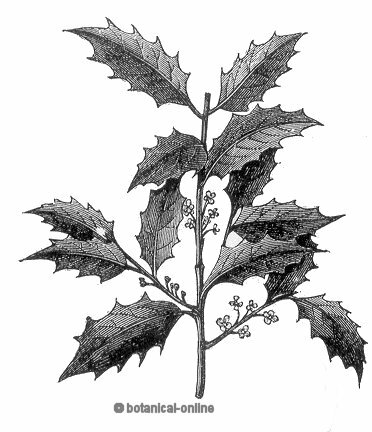 This king of activity has formed secondary holly woods by sprouting many thinner and less vigorous samples. 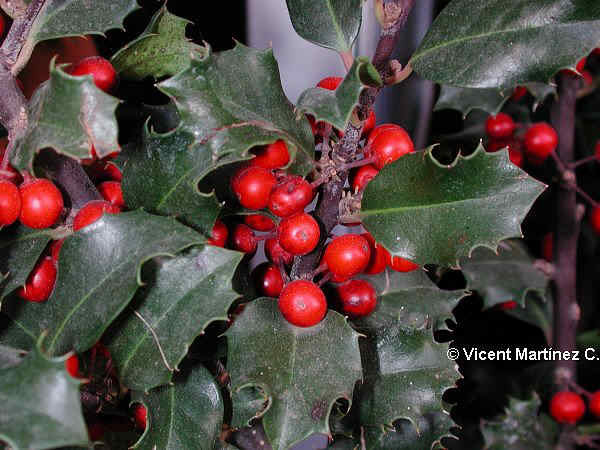 Is holly a dangerous medicinal plant? The berries of holly are very toxic. In high proportions their ingestion can be deathly. Never use during the pregnancy, nursing or with children. 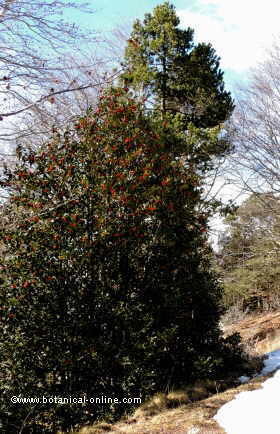 Shrubby aspect of a holly in a mountain forest, in front of a red pine and next to beech trees in the middle of winter. There are approximately about 400 species in holly family (Ilex) in the entire world, being the regions near to the tropics where they are more abundant. Holly is a very old tree. Before the glaciation, it practically occupied all Europe, when it had a warmer climate. Holly woods can be found in pure state in a few reduced territories with a special climate (plenty of water and little sun). 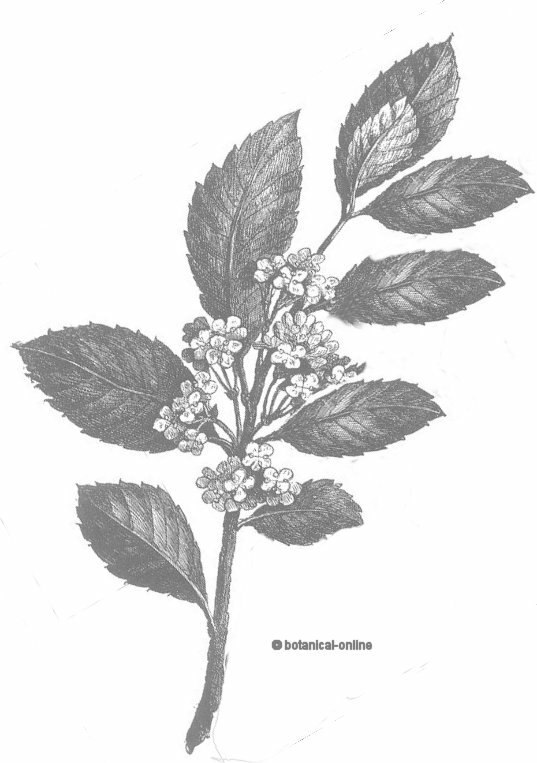 Hollies usually appear in woods of pines or oaks, where they generally grow as isolated samples. Pure holly woods are characterized to form a very dense vegetation that does not allow light to go in. They form a very dense vegetation in whose interior very few plants grow. Unfortunately, not many woods like this exist today, due to the man’s action that has used their wood for different purposes. This has made the species to diminished in such a way that today it has been protected in many countries. It is very important that, when we buy a branch plenty of their beautiful fruits in Christmas, we know for sure it belongs to a cultivated species. Japanese holly (Ilex crenata) It doesn’t usually overcome 4 meters high. It possesses black brilliant fruits. Its wood is used for hedges, especially those than can be cut in different forms. American holly (Ilex opaca) Up to 9 meters, it is characterized by the yellowish color of the back of their leaves. It is a holly type that prefers the sun to the shade. Holly of Perni (Ilex pernyi) Discovered by the French missionary Pol Perny, it can attain 9 meters high. It is characterized by its typical rhomboid leaves and its oval red fruits. Holly of Yupon or tea of Caroline (Ilex vomitoria) it Grows in the south of the United States and north of Mexico. Very used in hedges to carry out vegetable screens for wind protection. Its leaves are used by the native Indians as purgative. Mate (Ilex paraguariensis) The leaves of this tree are used to elaborate the mate infusion, a stimulating drink, rich in caffeine, with less astringent properties that coffee. Very used in South American countries.